There is so much going on in the cultural scene of this town you simply can’t participate in everything that would interest you. What’s more, many of the happenings are free. 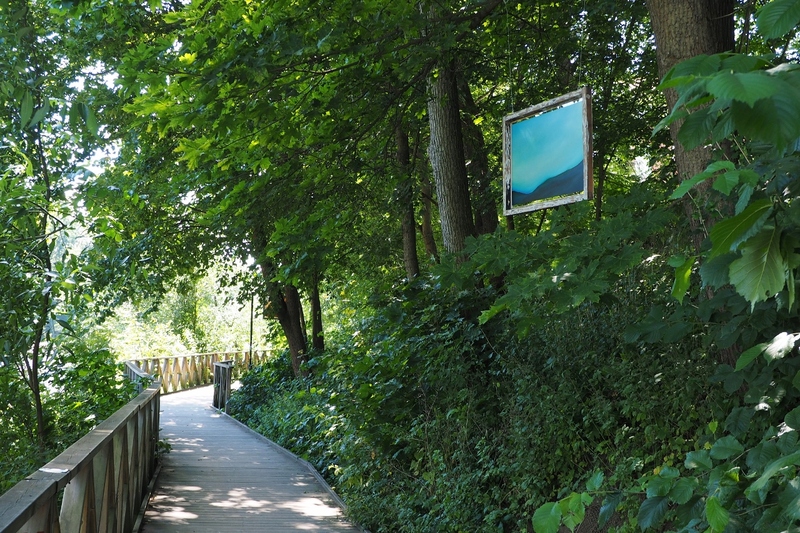 One of the current events takes place by the riverfront along the boardwalk where we often start our daily walk. 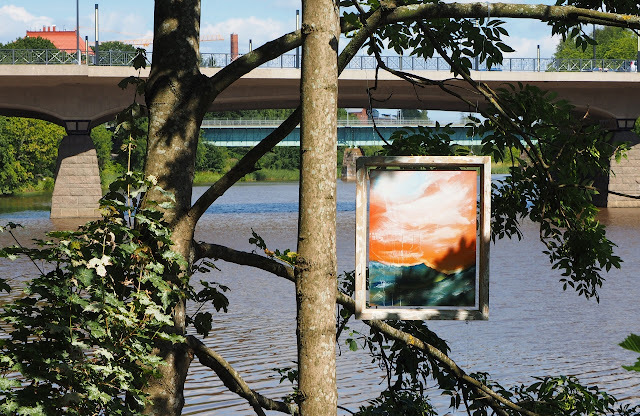 It is an exhibition of paintings entitled Enlightened by the Turku-born, Helsinki-based lighting design student and interdisciplinary artist Alexander Salvesen. 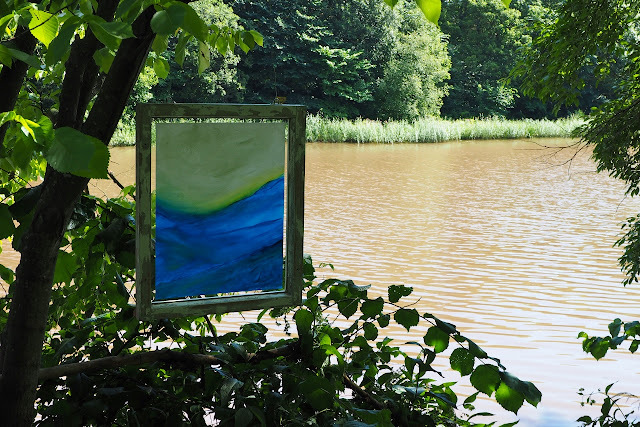 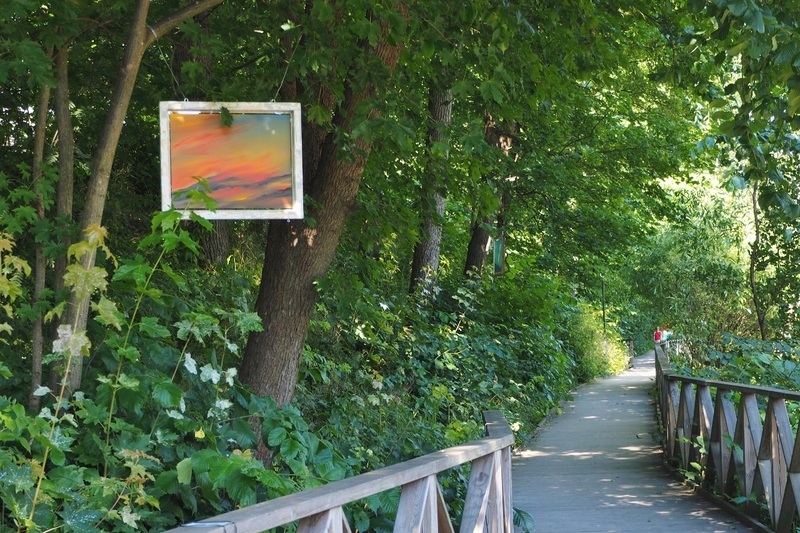 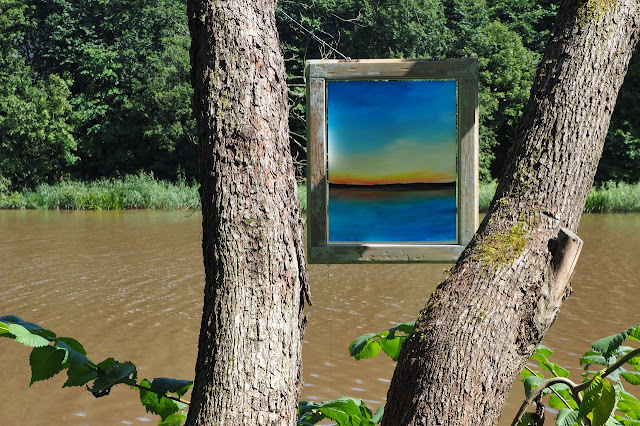 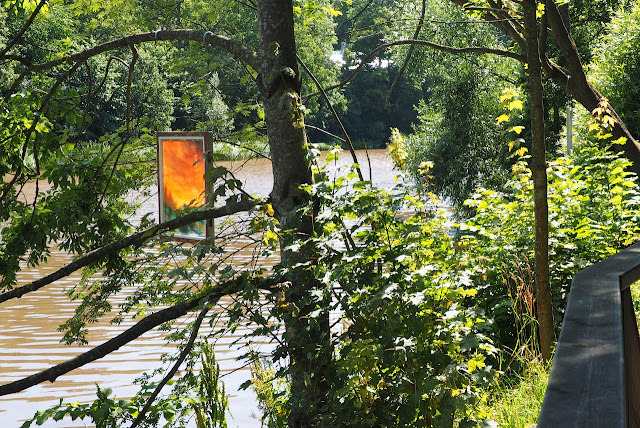 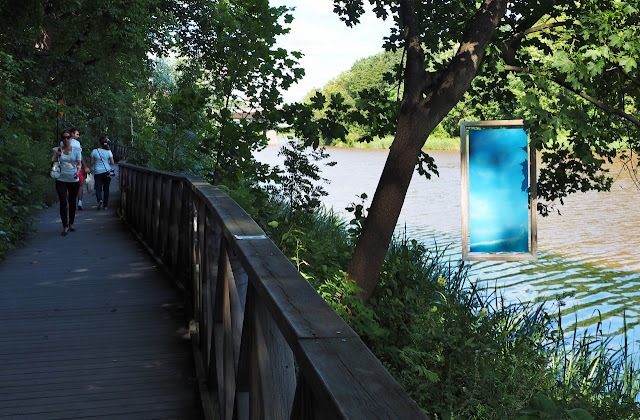 Each work is painted in oil on a transparent polycarbonate sheet, mounted in a recycled window frame and hung with ropes among the trees and other vegetation by the river. The changing natural light and shadows shape each artwork as the surrounding conditions vary throughout the day. Maybe we are now reaping the benefits of the extra effort taken and processes put in place for 2011 when Turku was, together with Tallinn, the European Capital of Culture. 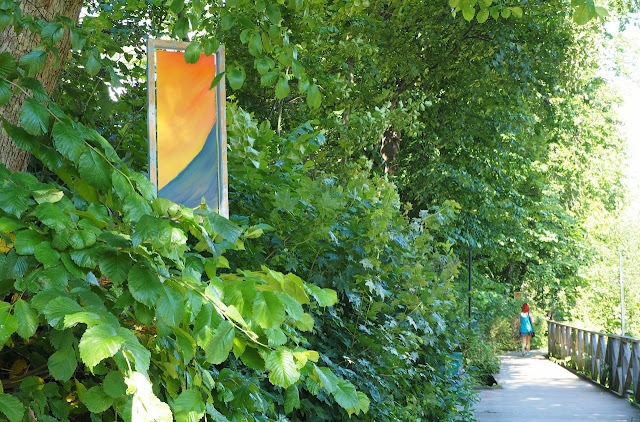 Whatever the catalyst for the present cultural liveliness and diversity, you’ve just got to love this town! 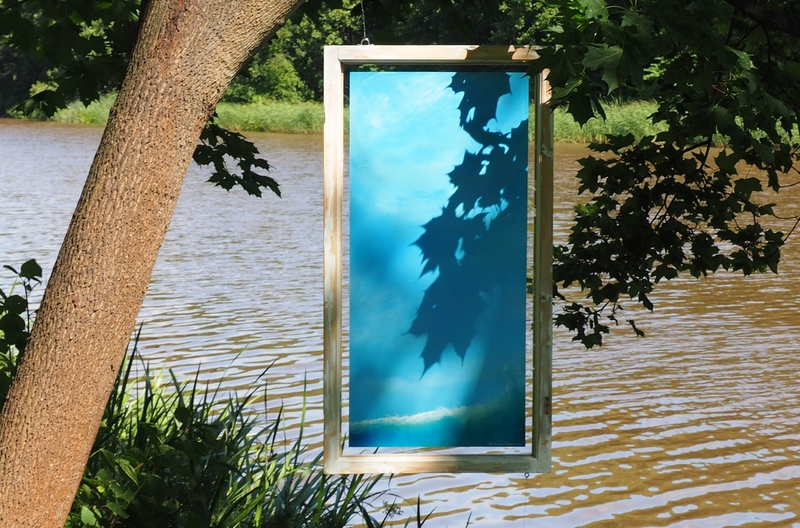 Exactly, and as the 'canvas' is transparent they can be viewed on both sides. 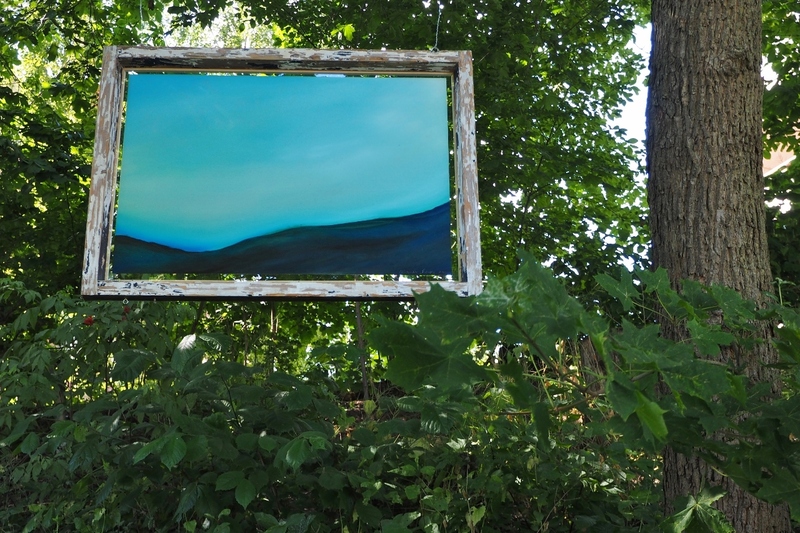 These were on display for two weeks and there was something else I'm hoping to post about soon. I'm happy you found my post. 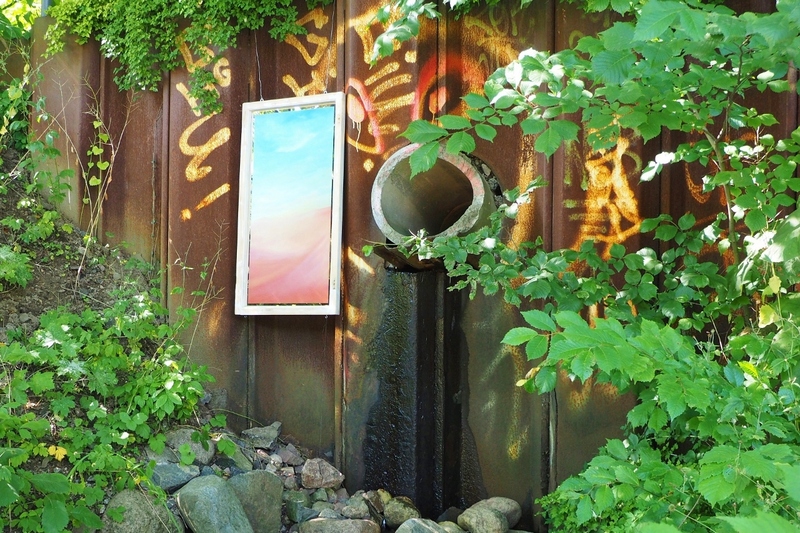 Looking forward to seeing your new projects.